So I’m seeing a plethora of blogs and pins spouting “Easy Kid Activities” and such lately as everyone is trying to entertain their munchkins now that school is out. I already shared that we don’t really have a hugely different schedule during the summer around here, but I am always on the lookout for EASY things to do. Yet I often feel incredibly let down when I read these posts because my idea of easy does NOT include 10 steps, 5 ingredients, or specialty items that have to be purchased *just* for the activity. For awhile I felt lame for not often doing anything extravagant, and I would try to be a more “fun” Mom and do these kinds of things with my kids. 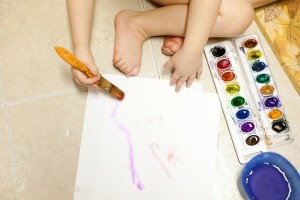 But to be honest, it most often felt like I spent more time prepping the activity than my kids actually spent doing it. Artist just came in and asked for scissors and tape and paper so she can make wings, and I thought, YES!!! 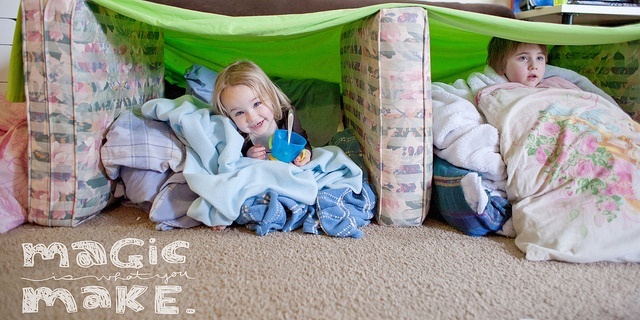 That is a great easy kid activity. Not extravagant, fancy, Pinterest worthy wings that I would plan and prepare and give intricate instructions on how to make, but spontaneous wings that she just decided to make (probably because she was bored…I believe bored kids are creative kids). Here are a few of our favorite actually easy activities! 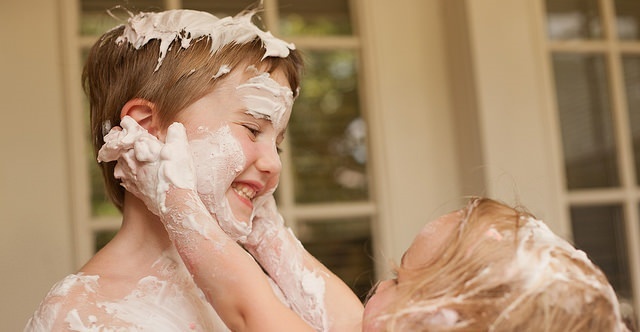 Shaving cream play…fun either outside (followed by washing off with a hose) or in the bathtub. Making paper dolls. Sometimes using pieces of patterned scrapbook paper for the clothes. Painting ALL THE THINGS! Honestly just painting with watercolors or fingerpaints is always a hit. But for Boo, it’s extra fun to paint random things like an empty juice bottle. And basically anything super lame simple. I feel like the more open ended the activity, the more likely it is to actually engage my kiddos (and even morph into other creative play). I couldn’t agree more! Currently Monkey loves drawing or writing letters, and Bo likes stacking things or putting things in a bag and taking them out again.